On arrival you might like to see some of the sights of Casablanca, in particular the Hassan II Mosque with the tallest minaret in the world. 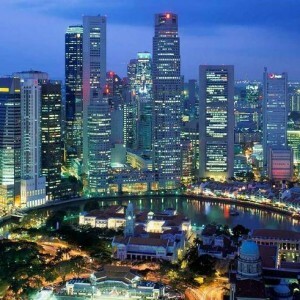 Our representative will assist you in tour as well as your transfer to hotel. The convoy explain you all you need to know of Casablanca. After breakfast you will drive to the lesser-visited Imperial City of Meknes. Our local guide will help you to visit the famed gate of Bab El Mansour, Dar Jamai Palace, the Royal Stables, and the tomb of Moulay Ismail. Just thirty minutes away is the Roman ruins of Volubilis, a fascinating former Roman stronghold with colonnaded streets, various ancient homes, buildings, and olive presses, as well as well-preserved mosaics. 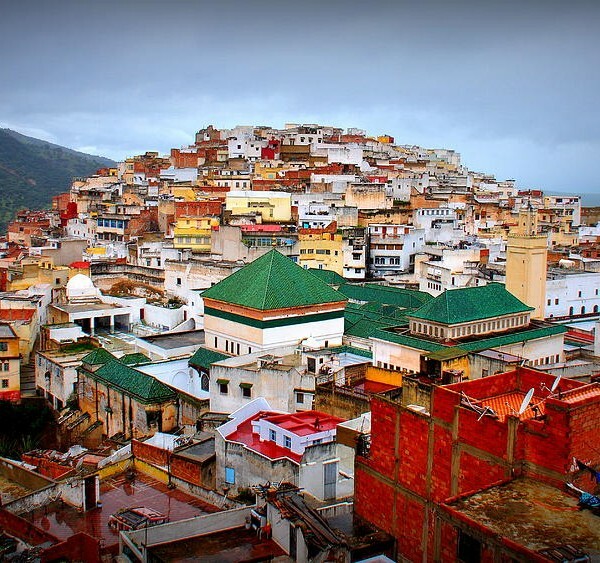 Also visit the town of Moulay Idriss, which appears as a sitting camel from the ruins. It’s a good place to have a Moroccan meal, yes your dinner. Drive to hotel and check in. And spend the night at hotel in Fez. After your breakfast go for a guided sightseeing in Fez. The maze of arms-width alleyways and donkey-width roads of the UNESCO protected Fez medina – said to be around nine thousand of them (?). It is confusing even to those who have spent years living in this delightful city. Your Fez born guide will unfold the hidden stories and tucked away corners, the minutiae of daily life and the magnificence of its madersas and palaces. You see the fabulous Fez as only a true local can know. This tour lasts from 9:30am until 5:30pm, with lunch. Morocco’s capital, Rabat, is the most relaxing Imperial cities to visit. The colonial architecture here is stunning; the palm-lined boulevards are well kept and relatively free of traffic. The atmosphere here is cosmopolitan as its economic big brother down the coast. All in all, life here is pleasant and civilised. Today you will spend in a delightful riad, a traditional Moroccan home within the Rabat medina, which will give you an opportunity to experience the peaceful streets of this ancient centre before the hustle and bustle of the more hectic medinas of Fez and Marrakech. Spend your day exploring the city; the monumental unfinished Hassan Tower, with the pillared stumps of its mosque being all that remains from the devastating earthquake that killed an estimated ten thousand people in North Africa in 1755. There is also the near-by Mausoleum Mohammed V, watched over by red-robed Royal Guards; smell the flowers in the Andalucian Garden of the Kasbah Oudayas, a walled ‘village within a city’; and discover the Chellah Gardens and Necropolis, where hundreds of storks send their strange clacking call through the air. Spend the night in hotel of Rabat. After today’s breakfast you will depart from Rabat to the most well-known Imperial CIty – Marrakesh. En route, you’ll have plenty of opportunities to stop for breaks and will arrive into the “Red City” just in time to enjoy the main square, called Djem Alfna, before a scrumptious dinner is served in your lovely riad this evening. You can discuss with our Guide in Marrakesh to see what you’ll most like to see and do tomorrow. Enjoy the night’s rest before exploring the souks of Marrakesh tomorrow. After your breakfast proceed to the souks of Marrakesh with the local guide. Enjoy the vivacious souk where you will be dazzled by the displays of djellabas, soft brightly coulored babouches, intricately pierced lanterns, conical mounds of exotic spices and the hubbub of life in the spider’s web of alleys. Our experienced guide can regal you with history and stories of the Medina, the Souk and the Mellah sections kept within the city’s rose pink walls. Lunch is included with today’s tour. Depending upon your tomorrow flight time, either you stay in Marrakesh or travel to El Jadida for a relaxing night before tomorrow’s departure. Some travelers may wish to go to Casablanca instead of El Jadida if there are still some sights you wish to see. You might also opt to stay in Marrakesh tonight and the travel time to Casablanca airport is three hours. Today as per your flight time you will be transferred to Casablanca airport.